It’s been said that the only place where time stands still is the bathroom. Unfortunately time is relative, so the high humidity levels in your bathroom will continue to grow mold and mildew for you even if it seems like time is standing still. With the best bathroom dehumidifier helping to control the environment, however, you can enjoy the peace and quiet this room affords. The best dehumidifier for a bathroom can take on a number of different forms. The chart below takes a look at the best-rated options in this category, allowing you to find a dehumidifier with the right capacity for the needs of your home. What is a Bathroom Dehumidifier and Why Do I Need One? The bathroom is the most humid room in virtually any home. That water vapor you see when taking a shower or a hot bath has to go somewhere. Even an exhaust fan in the bathroom can’t remove all of the moisture. If left untreated, that moisture can begin to damage the paint, drywall, joists, and insulation of the room. If you see yellow streaks of water coming down your walls after you take a shower or bath, then you are seeing evidence of water damage. The best dehumidifier for a bathroom can help you stop this ongoing damage right away. Although bathroom dehumidifiers come in many different shapes and sizes, this is actually to your advantage. It allows you to shop for a new dehumidifier based on the features each unit has. This allows you to reduce humidity levels in your bathroom with greater specificity. Here are some of the top features you’ll find when looking through the dehumidifier reviews found right here that may be the best option for your bathroom today. Wall-mounted dehumidifiers. Many bathroom dehumidifiers can be mounted on the wall or the ceiling so they can filter out the hot moisture more effectively. Portable dehumidifiers. Many mini-dehumidifiers are perfect for the bathroom. Just plug them into any standard outlet and let them run. When you need to move them, just plug them into someplace new. Desiccant dehumidifiers. This is like a water filter for your air. You just set the dehumidifier out on a flat surface and it does all the work for you. Just change out the filter from time to time. Many models today don’t even require power to operate. This means you can find a dehumidifier for your bathroom, no matter what the size of the room may be. What Are the Prices of the Best Bathroom Dehumidifiers? Bathroom dehumidifiers are one of the most affordable purchases you can make today to control humidity levels. 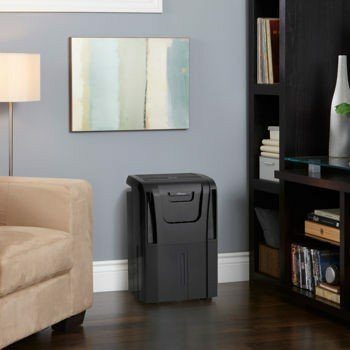 Some of the units in this category are priced below $30. 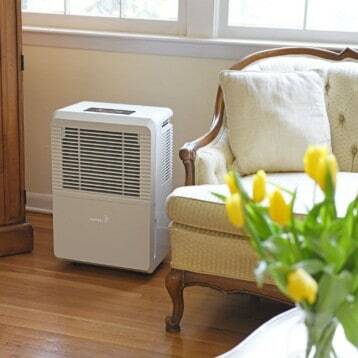 You’ll find plug-in or portable dehumidifiers are usually priced in the $40-$85 range. Some higher capacity dehumidifiers may be priced between $100-$150. Compared to the costs of repairing water damage, however, this is a very small investment to make. This silica gel dehumidifier is perfect for the bathroom. With 57 cubic feet of protection, there’s an indicator signal in the center of the unit that lets you know when the gel has been saturated. You’ll notice a marked difference in the condensation levels you experience in your bathroom with this dehumidifier in place. It stops mold formation, mildew build-up, and can even prevent rust from those shaving gel cans on your bathtub. It’s small, affordable, and you don’t have to do any work after placement. The issue we have with many of the best bathroom dehumidifiers is that they are designed to be one-use items. That isn’t the case with the easy fill system from this unique design. It offers a locking lid and an anti-spill design so your curious cat who likes to help you in the bathroom can’t make a huge mess. It’s flexible enough to be used in your kitchen or office as well – anywhere that you need humidity control to eliminate musty odors. We were surprised at how effective this system is and think you’ll enjoy having it in your home. This is the bathroom dehumidifier you want when there is a lot of water vapor getting thrown into the air on a consistent basis. Showers are notoriously bad for increasing humidity levels, but this little thermoelectric dehumidifier can fix that problem in no time at all. It has a 16 ounce reservoir that will help you prevent humidity damage in this all-important room. The compact size lets you plug it in without taking up all your outlet space. It’s also one of the few dehumidifiers in this category that is CE and UL approved. This quiet dehumidifier can make a loud difference in the humidity levels of your bathroom. It eliminates odors, but more importantly, helps to eliminate the fungi that like to grow in such a moisture-rich environment. If you’ve noticed a problem with athlete’s foot or you’ve got mold that wants to grow on your walls, give this petite dehumidifier a try. We think you’ll love what it is able to do for your home. Small bathrooms need small dehumidifiers. Large bathrooms need something with a few more teeth that is hungry to consume humidity. If your bathroom has plenty of space, then we highly recommend this 50 pint dehumidifier to meet your needs. You can run it when you need it or leave it running all day to prohibit mildew growth. A 24 hour timer is available and the LCD controls are accessible even when the room is steamy from a shower. It’s an investment for this category, but could save you from thousands of dollars of humidity damage in the future. The best bathroom dehumidifier reviews will help you find the perfect make and model for your home. It’s nice to take a hot, steamy shower, but that water vapor can cause a lot of damage over time. Prevent that damage today by choosing the best dehumidifier in this category today.